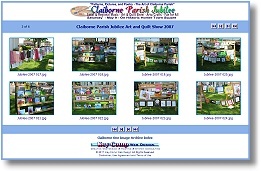 The Claiborne Parish Jubilee Annual Art & Quilt Show is held mid May. 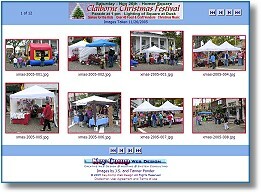 Events are held on the Homer courthouse lawn or in buildings around the town square. 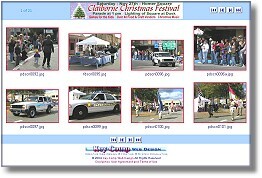 In addition to the traditional sidewalk art show, children’s art activities, a quilt show, flower arranging demonstrations, musical performances, and cloggers are also presented. 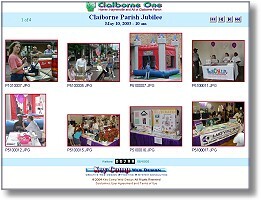 The Claiborne Parish Independence Day Celebration, held annually (generally on July 4th), includes a Patriotic Boat Parade and Fireworks. 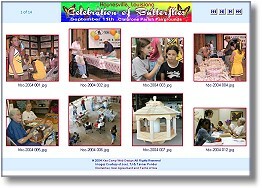 The Haynesville Celebration of Butterflies, held annually in early September, includes a parade, several educational workshops, musical entertainment, creative fun for kids and a nature photography contest. 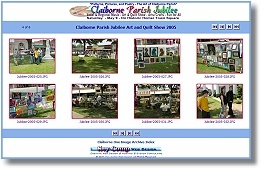 The Claiborne Parish Fair is held in late September or early October at the Claiborne Parish Fair Grounds in Haynesville, Louisiana. The fair features both day time and night time activities. Day time activities include: School Group Day; Cooking Show with Rand and Nancy Killgore; and Bingo. 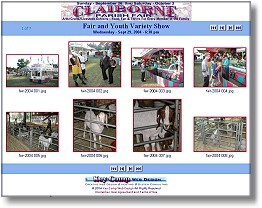 Night time activities include: a youth variety show, gospel singing and livestock judging. 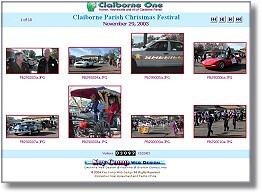 The Claiborne Parish Christmas Festival, held annually in late November or early December on the Courthouse Square in downtown Homer features a Christmas Parade, lots of arts and crafts, food, and all-day entertainment. 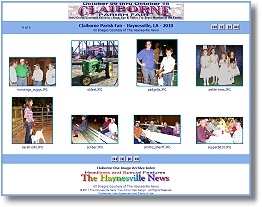 Other attractions include Oreo the Bull, Cajun Mountain Rock Climbing, Kiddy Tractor Power Pulls, the Screaming Demon, the Magic of Jim Chester, Cloggers, face painting by Becky Lowe and friends, games for kids, cake walk, as well as wagon rides to the “decorated” City Park. 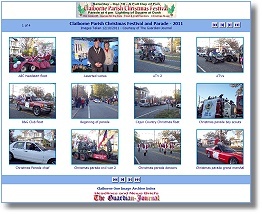 Horse and buggy rides will be available from the Square to the Park during the Festival. 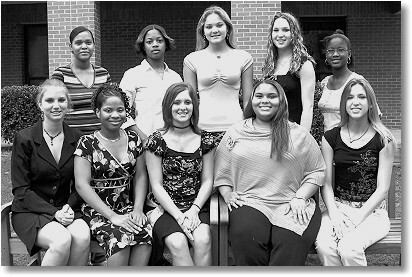 Junction City High School Homecoming 2004 was held Oct 29. Junction City trounced Smackover 50-6. 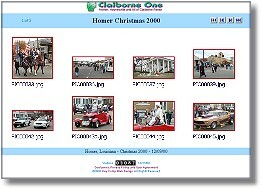 The Junction City Dragons celebrated Homecoming 2004 on Friday, October 29 during a game with the Smackover Buckaroos. 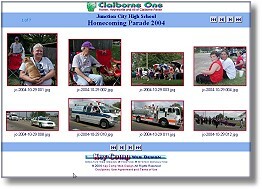 The pep rally and presentation of the Homecoming Court began at 12:30 p.m. A parade down Main Street was enjoyed by hundreds following the pep rally, at approximately 1:30 p.m. Pre-game activities started at 7:00 p.m. with the kick-off at 7:30 p.m. Members of the Homecoming Court are, seated from left, Kayla Vestal – Junior Maid, Ceola Cargile – Senior Maid, Homecoming Queen Haley Taylor, Marquita Meeks – Maid of Honor, Jessica Sheffield – Senior Maid, and standing, Danyell Brooks – Junior Maid, Jasmine Moore – Sophomore Maid, Meg Smith – Sophomore Maid, Marion Wood – Freshman Maid, and Brittany Waller – Freshman Maid. 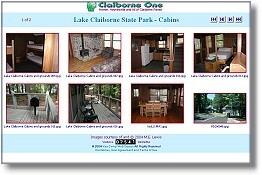 Each year Lake Claiborne State Park attracts more than 55,000 visitors, most within a 50-mile radius. Eighty-seven campsites with water and electricity, picnic tables, and barbeque grills are available. For as little as $4, a carload of four can spend the day swimming, fishing, boating, picnicing, hiking, or just plain relaxing. 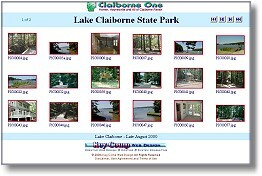 For those who want to really rough it, they can rent a boat or canoe and paddle to one of the primitive campsites located across from the beach area. Surf bikes, which are a variation of a paddlewheel, will be available for rent later this summer. 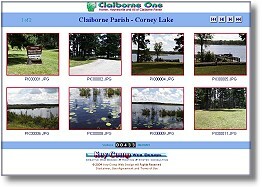 Corney Lake Recreation Area in Kisatchie National Forest is part of The Caney Ranger District. Located north of Summerfield, this beautiful 2,300 acre lake offers excellent fishing and seasonal waterfowl hunting. The facilities include a group picnic shelter for day use with rest rooms. The Corney Lake Recreation Area is a scenic “back to nature” spot for camping, picnicking, boating, pier fishing and biking. For additional information, please contact the Caney Ranger Office at 318-927-2061. The unpredictable winter weather in North Louisiana can sometimes be warm enough for air conditioning or cold enough for an ice storm. 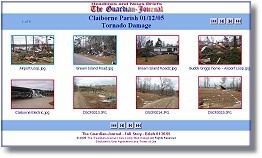 The evening of Wednesday, January 12, 2005 in Claiborne Parish was no different. The temperature reached into the mid 70s. A cold front expected to come through the area later that night was expected to bring strong thunderstorms. It did_and much more.